UPON JERRY'S REQUEST, THE FAMILY WILL BE HAVING A PRIVATE FAMILY SERVICE. 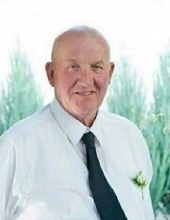 Jerry Joe Bennett born August 22, 1942, passed away peacefully at his home in Blanding, Utah on November 24, 2018. He was born in Frankfort Kansas to Mary Ellen McLeod and Leonard George Bennett, He was the youngest of seven children. He moved to Monticello with his parents in 1957 and graduated from Monticello High School in 1960. Jerry worked various jobs but will be mostly remember for managing the Husky service station owned by Keith and Donna Redd and driving a fuel truck for Abajo Petroleum. Most recently he was fuel delivery driver for BCL Distributing in Blanding. Jerry was loved by everyone he met, especially his customers. He enjoyed conversations with strangers and called all “his customers” friends. In 1969 he married Punki Torres, later divorced and to this union were born his children Meri Allan PJ and Kristopher William. In 1994 he married Saundra Bailey Johnson and with that marriage he gained the additional love of her children Troy, Glenna, Tiffanie, Amanda, and Cassidy. As his children we had the pleasure of seeing our parents sealed for time and all eternity on October 13, 2018 and consider this one of our greatest blessings. He was an active member of the Church of Jesus Christ of Latter-Day Saints where he served in various callings. He enjoyed the calling of home teacher the very best. He was the best example of home teaching and loved serving the widows of his ward. He served as the neighborhood tooth fairy. The kids would come over just to have Jerry stick his big hands in their mouths and yank their loose tooth out, in return he would give them some money. These are the memories that will take with us. He is survived by his love Saundra, children PJ Maughan (Richie) of Springville, Kristopher Bennett (Christie) of Las Vegas, Nevada, Troy Johnson, Glenna Slavens (Johnny) of Allen, Texas, Troy Johnson of Moab, Tiffanie Holt (Husband), Amanda Palmer (Danny) and Cassidy Black (Damon) all of Blanding, 17 grandchildren, and 2 beautiful great grandchildren that fondly referred to him as Grandpa J. He is also survived by his sisters Joan McMahon of Paola, Kansas and Lucille Isaman of Grand Junction, CO and brothers Richard Bennett (Laveta) of Paola, Kansas and Tom Bennett of Gallup, NM. He is preceded in death by his parents, his sisters Marion and Betty, brother in laws Roy Isaman and JR McMahon. Our father, husband and grandfather will always be known as “our gentle giant”. He was the best example of home teaching. We saw him serve our neighbors and community. He will always be remembered for the love he had for not only his family but for the community that surrounded him. To plant a tree in memory of Jerry Joe Bennett, please visit our Tribute Store. "Email Address" would like to share the life celebration of Jerry Joe Bennett. Click on the "link" to go to share a favorite memory or leave a condolence message for the family.